Steel band music was brought to these shores over 50 years ago and is now part of the British musical culture. Acceptance and promotion of this art form has come about largely because of individuals such as Gerald Forsyth, an educator of extraordinary talents. Gerald was born in the island of Trinidad, (part of the twin province of Trinidad and Tobago), and came to the United Kingdom in 1960. Already an accomplished musician in his hometown, he set about reclaiming his country’s legacy, the steel band, and promoting it in the entertainment industry. In those early days, he was a jazz pianist and a steel pan musician – and a steel pan maker when few individuals possessed that knowledge. However his contribution to music education in the United Kingdom is far reaching. In 1969, Gerald Forsyth set up the first school steel band in Islington Green School, London, and became its teacher. He was the first peripatetic teacher in any school to be appointed a ‘steel band music tutor’, a post he held for nine years. The steel band became an instant success in the school, and similar projects spread throughout London and the Home Counties. Soon there were so many school steel bands around that the Inner London Education Authority (ILEA) put out an advertisement in the education journal, for the post of ‘Steel Band Organiser for the ILEA’. Gerald Forsyth applied and was appointed to the post in 1978. He held the position until the abolition of ILEA in 1990. Gerald remained a steel pan tutor in many schools and youth clubs, namely, White Lion Youth Club, Islington; John Kelly Boys School, Brent; Homerton School, Hackney; Kingsdale School, Dulwich; George Orwell School, Hornsey; Hackney Youth Services Music Department, Jubilee, Primary School, Brent; … and many more. School steel bands continued to increase in numbers all over the UK, and Gerald Forsyth was instrumental in setting up, and adjudicating at school steel band festivals all over the country. He also set up the first National School Steel Band Orchestra, and has had immense success with pupils whose music ability was discovered and nurtured to great heights. He is the National Adjudicator of the British Association of Steel Bands, and was the Musical Director of East London School of Steel Band Music, Hackney. He is also the Honorary President of the Steel Pan Educators and Tutors Association (SPETA). 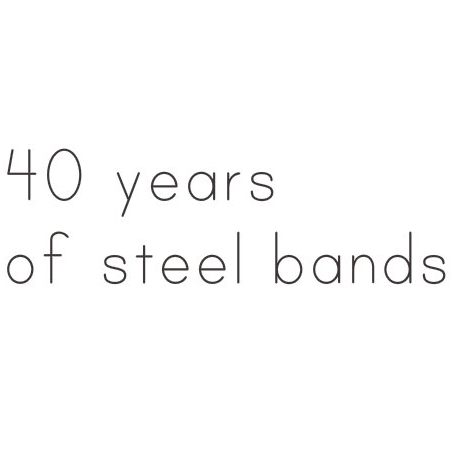 Today, there are over 5,000 steel bands in British schools. We all owe this success to the legacy of Gerald Forsyth. For this remarkable achievement, (40 years of steel bands in British schools), we congratulate Mr. Gerald Forsyth OBE, on his National Award.